AO Alliance (AOA) was officially founded on December 13, 2014 in Davos (Switzerland) as the successor of the AO Socio-Economic Commission (AOSEC). 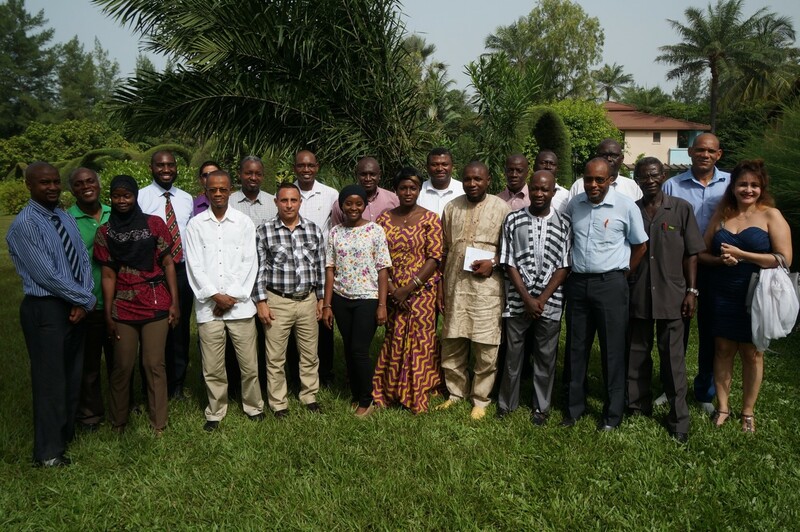 At that time no one could foresee the impact of AOA activities in low-income countries (LICs). Nepal and Bangladesh are two of these LICs. 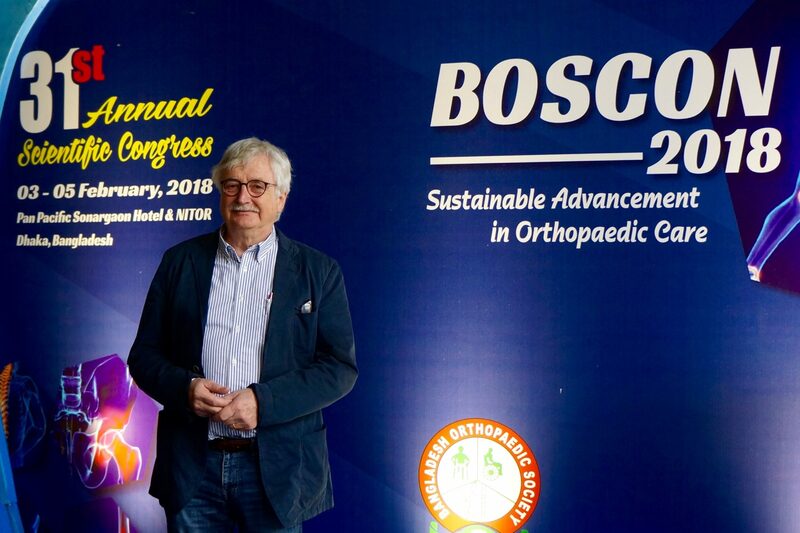 A special development has been the participation of AOA educators in the annual meetings of the orthopaedic and trauma associations of Nepal (Orthocon) and Bangladesh (Boscon). The main driver has been Prof. Ram K. Shah from Kathmandu (Nepal). As the Asia Regional Director for the AO Alliance, he never fails to promote the vision of AOA in Asia and throughout the world. Since 2015, it has been my privilege to contribute to all Orthocons, and since the beginning of this year, Boscon as well. The Bangladesh Orthopaedic Society (BOS) currently has 850 registered members for a population of 170 million people. Big-shot guests of honour, along with the current and former Ministers of Health, as well as all the former presidents of BOS graced the first row of the lecture hall. I wish to give special thanks to Assistant Prof. Dr. Qasem Haque from Dhaka Medical College Hospital (DMCH), who not only is a member of the AOA Steering Committee in Bangladesh, but a great surgeon and perfect host. I would like to further commend him for the high quality of the scientific papers and posters. 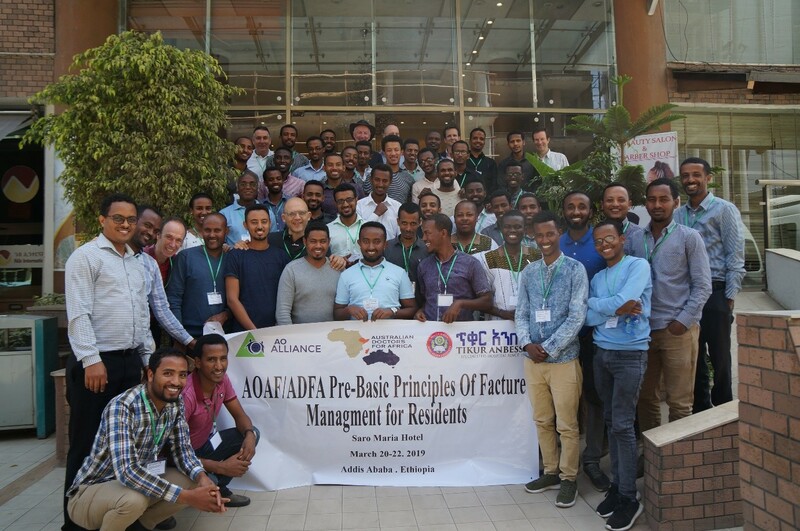 Our AOA session was a great success, with participants filling up the entire lecture hall. Special thanks are also due to the organizing committee: Prof. Gani Mollah, President of BOS and Head of the National Institute of Traumatology and Orthopaedic Rehabilitation; and Prof. Syed Shahidul Islam, Secretary General of BOS. 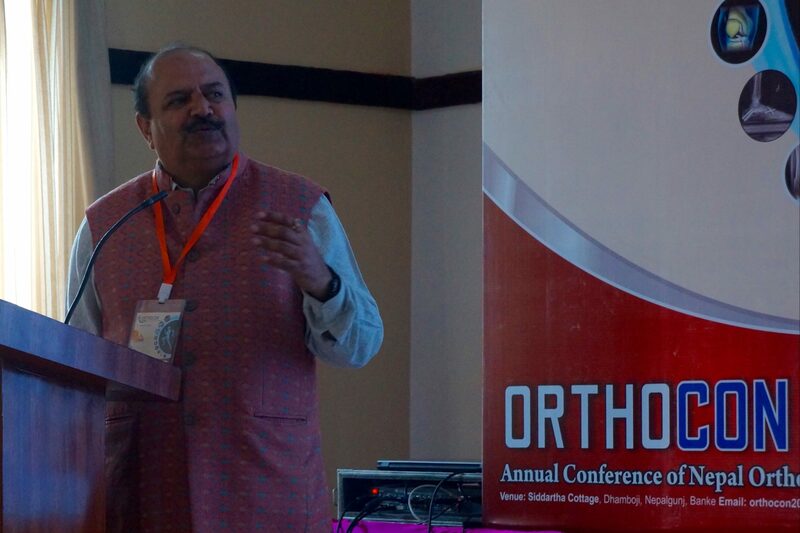 Orthocon2018 took place in February in Nepalgunj. 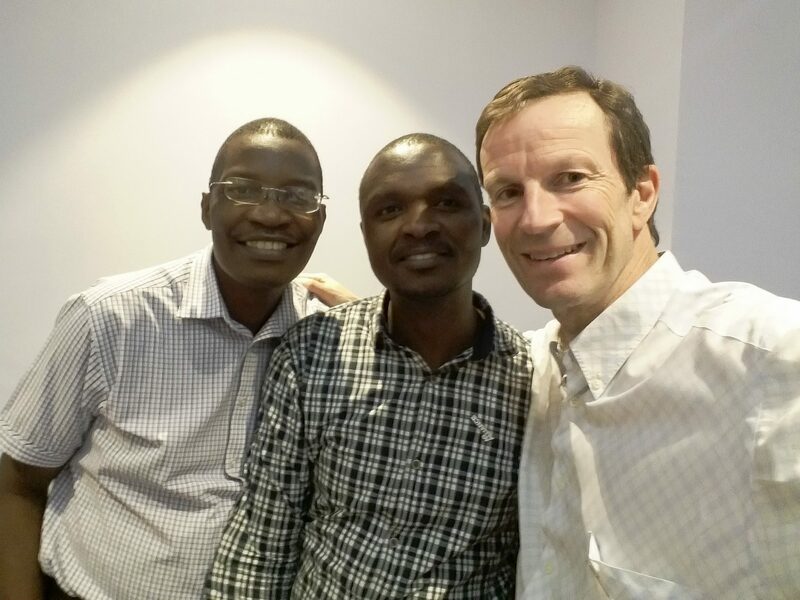 After four years of uninterrupted participation, it was like being reunited with family. I was honoured to meet the upcoming president of the Nepal Orthopaedic Association (NOA) Prof. Rohit Pokharel. The organizers were very hospitable, Prof. Vinod Kumar Thapa, Chief of government hospital, Bheri Zonal Hospital Nepalgunj, and Chief and Owner of Western Hospital, took great care of us. Two of four awards for best poster and best paper presentation went to doctors of (my) Dhulikhel Hospital-Kathmandu University Hospital. The AOA presentations were also very well received by the participants. In 2018, there will be nine events in Nepal alone.